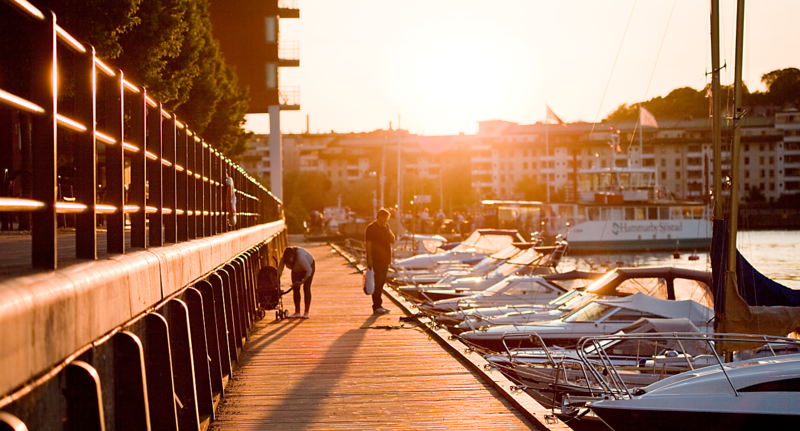 Hammarbyterrassen is located in the western part of Hammarby Sjöstad right next to Hammarby Canal, Hammarby Allé and Fortum’s heating plant. The building has been specially adapted for Goodbye Kansas – Sweden’s fastest growing company within animation, gaming and special effects. Its specific workplace requirements, a state-of-the-art 3D scanning room and the world’s most technically advanced motion capture studio (also the only one built from scratch) make this is a unique project. And Hammarbyterrassen is the only property in Sweden with a 45-degree angled stonecrop roof. It's angle means the beautiful surface of the stonecrop can be seen from street level, as well as by the building’s neighbours. 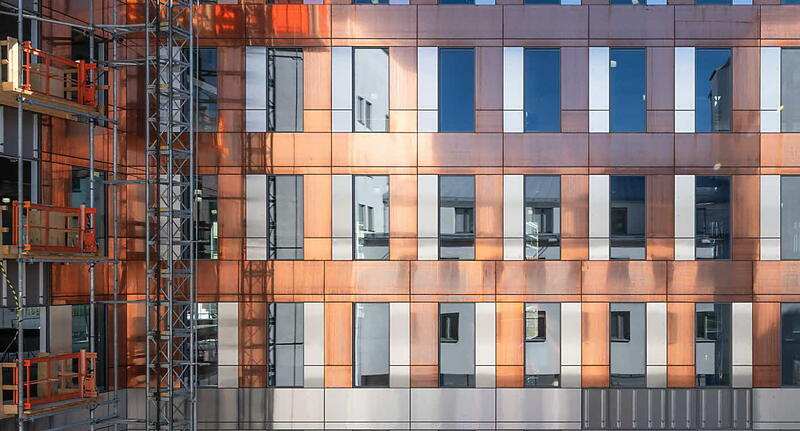 The stunning copper facade blends into the surroundings perfectly. The building has a unique stonecrop roof with 25 different varieties of the plant at an angle of 45 degrees. This is where the story of the future will be created. Why has Goodbye Kansas chosen Hammarbyterrassen? “The Swedish sections of the Goodbye Kansas Group are currently dispersed across several different sites in Stockholm and Uppsala. The new building at Hammarbyterassen will finally allow us to bring all our cutting-edge expertise under one roof, just a stone’s throw from Södermalm and Northern Europe’s densest collection of computer game clusters. Our artists form the backbone and heart of our business – specialists in every kind of digital magic – and the fact that they will now be sitting together will improve both communication and the familiar corporate culture we’re nurturing at Goodbye Kansas. "The new building at Hammarbyterassen will finally allow us to bring all our cutting-edge expertise under one roof. Hammarbyterrassen and the Skeppshandeln district together form portal buildings for Hammarby Sjöstad from the west. Hammarbyterrassen’s appearance is inspired by its proximity to the water and the industrial character of the heating plant. 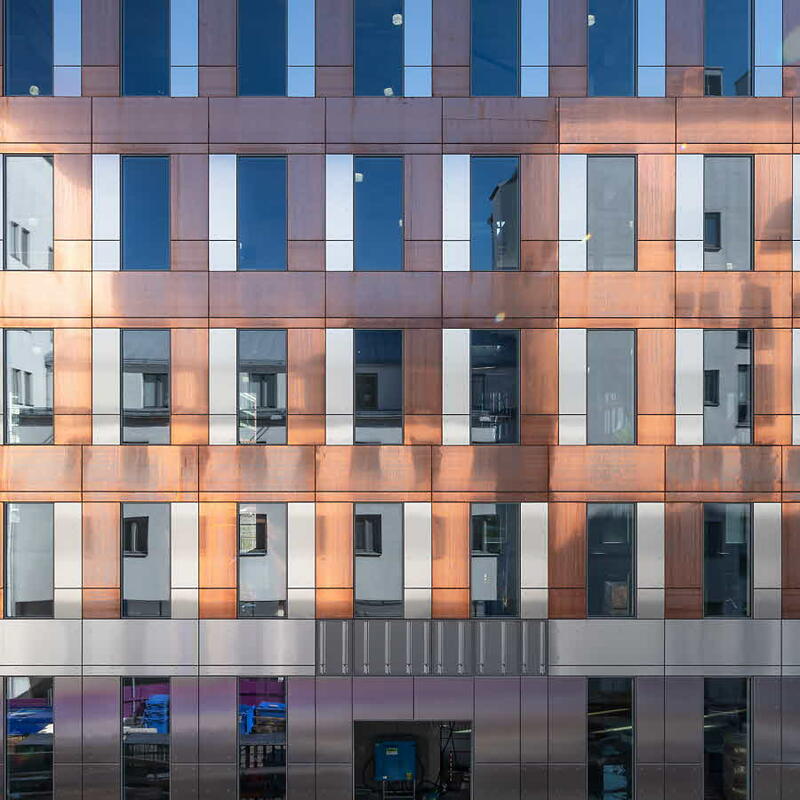 The edifice is simple and robust in its design, with an iridescent copper facade and a calming window layout but also different window arrangements on each floor in matt brushed stainless steel, subtly separating the facade into a base section, middle section and upper floor. The entire base section is in matt brushed stainless steel. The roof and wall surfaces on the upper inset floor are covered in stonecrop at an angle of 45 degrees. Hammarbyterrassen is Sweden’s first building with a stonecrop roof at such an angle. Previously, stonecrop roofs have been laid at an angle of no more than 27 degrees. The roof is also equipped with solar panels facing the right direction to capture the sun’s energy. Around the inset roof level there is a stone terrace. It covers an area of almost 400 sqm, boasting magnificent views in all directions and a glimpse of the water to the north west, where you can also enjoy the roof’s 25 different varieties of stonecrop. Completely new buildings combined with older industrial buildings that have been developed are providing a home for many companies that are looking for a dynamic inner-city location with creative office environments. Here, you will work in a vibrant district, full of a wonderful blend of residents, visitors and employees.